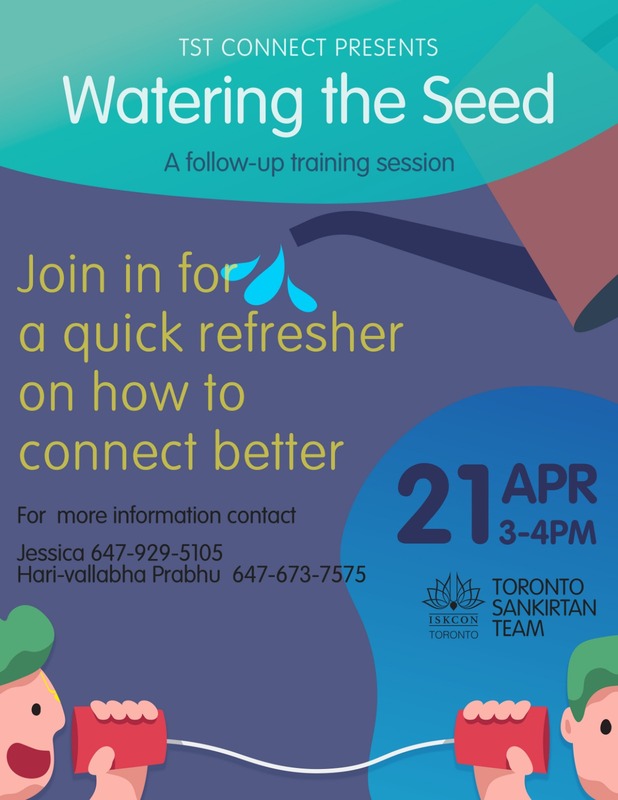 'Watering the Seed' Seminar ~ The Toronto Hare Krishna Temple! 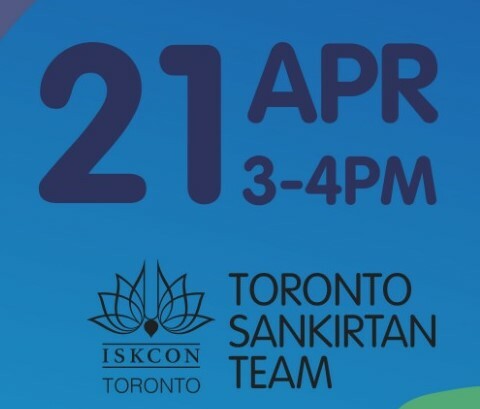 ISKCON Toronto's Sankirtan Team (TST) is offering a unique Training Seminar, titled 'Watering the Seed' on how to make YOUR follow up easier and effective! You may be an expert at personal follow ups OR you may be completely new to this concept - this seminar is for YOU! The seminar is open to ALL departments in the temple, and will provide everyone with the essential tools and strategies on how to effectively connect and stay in touch with those fortunate souls ready to take their first step towards Krishna. Please RSVP so we can serve you better.